The xWallDock, a new Kickstarter project, aims to remove cord clutter in homes filled with smartphones and tablets. 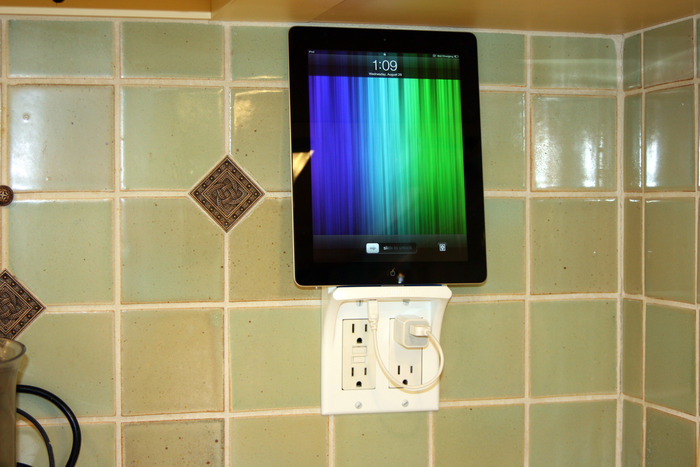 The solution is elegantly simple: Simply replace the face plate from an existing electrical outlet with an xWallDock, which creates a combination device charger and dock for any wall in your home. I find the design to be clever as it doesn’t rely on any new or unproven technologies for you to risk your money on. 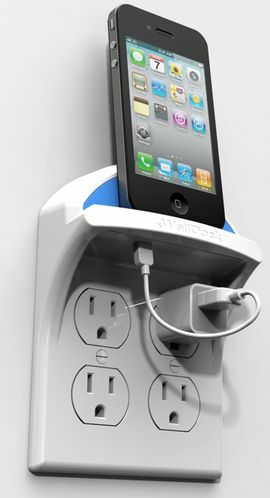 Instead, the plastic face plate adds the needed hardware parts to turn any standard electrical outlet found in the U.S., Canada or much of South America into a more useful charging station. This shouldn’t surprise, since Avi Cohen, the brains behind the xWallDock, is an industrial designer. Take a peek at the introductory video and you’ll see how this product could be useful. I know in my house there are plenty of spots I could use one of these; next to my bed, in the kitchen and even in the family room where our uncharged devices tend to collect in a pack. If the xWallDock hits the $27,000 goal that Cohen has set, the first orders are expected to be fulfilled in February 2013. At this early point in the project, it has only raised about 10 percent of the goal, so there’s plenty of early bird opportunity. A face plate with two outlet cutouts starts at $15 and all of the dock products include a USB charger and short USB cable for device charging. We are actually working on researching different outlet designs in the UK and other countries to see what we can do to accommodate these outlets without going overboard with tooling investment. Its a great concept and I am looking at one for my iPad3, and will have to wait for the Ligthning connector version next year, kind of a bummer. Hopefully the addition of authentication chips in the new Lightning cables won’t add much to the price or delay their model coming out.